ADVANTUS-Tim Holtz Idea-Ology: Ball Chain with Connectors. 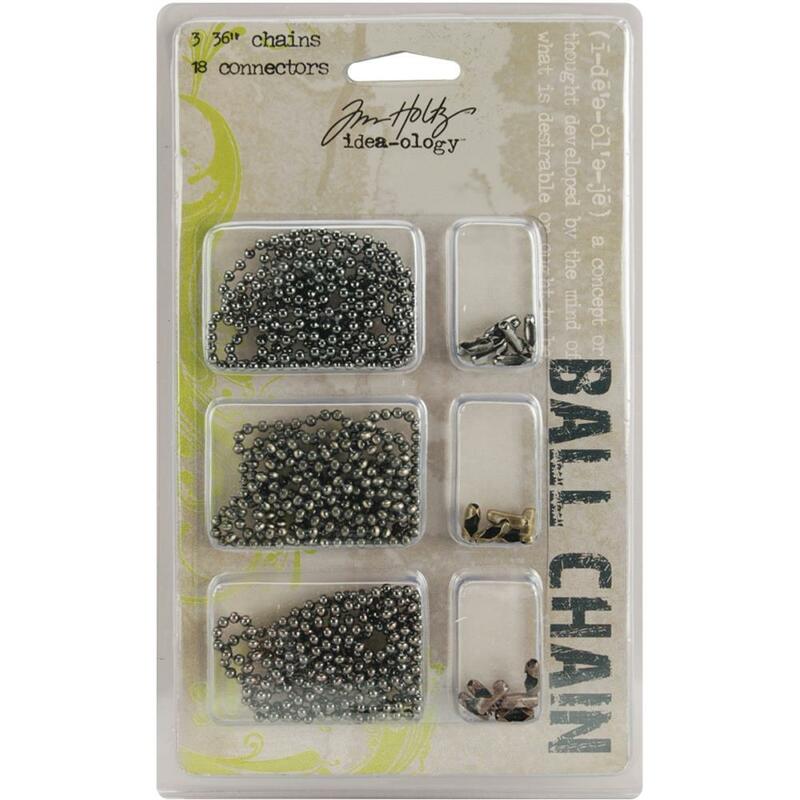 This ball chain is perfect for use as jewelry, embellishments in scrapbooking, and much more! 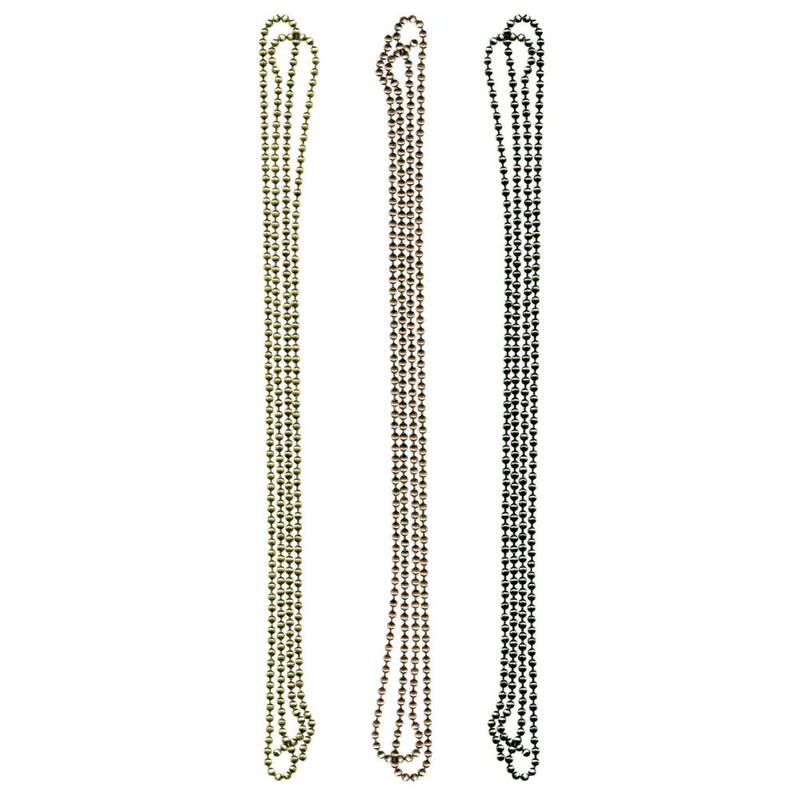 Each package has three different colors of chain all with matching connector pieces. Complete package contents include three 36-inch long chains and eighteen connectors.